As we come to the end of another year, EB and I wanted to take a moment and thank all of you for being such great supporters of the show. We have a lot of fun every week figuring out how we're going to fill 45-minutes of podcast time. The best part is knowing that you guys are always (well, almost always) ready to jump in and help out by adding your own content and ideas. 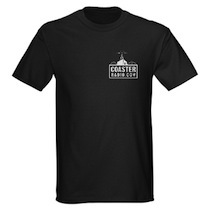 We've always tried to make Coaster Radio a "community podcast." I hope that a brand new listener would be able to hear the number of fans who are featured in each show and understand that. We have a lot of fun things planed for 2011. Of course, we're always interested in your ideas and comments about the show. You can e-mail us (at the address on the right) and let us know your thoughts. 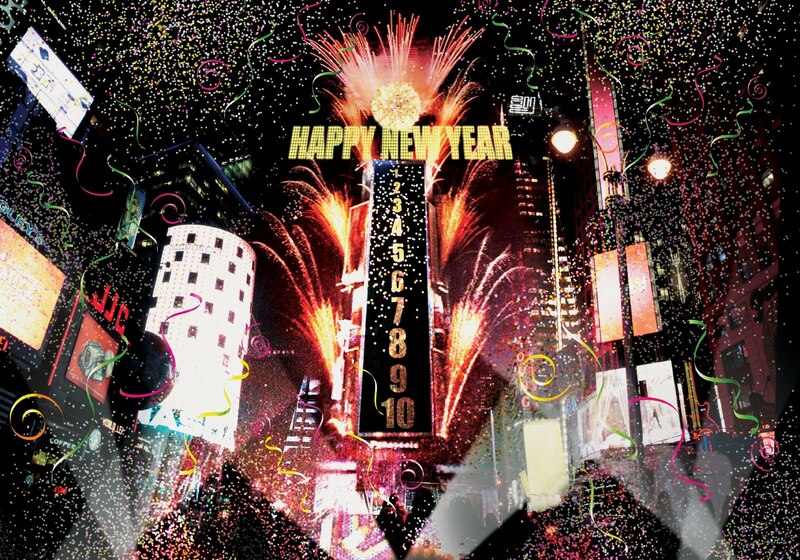 Thanks again for a really great 2010! We wish you and yours a Happy New Year and good luck in 2011! May all your dreams come true! CLICK HERE TO WATCH IT IN HD!!! 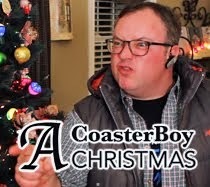 CoasterRadio.com #511 - Christmas 2010! 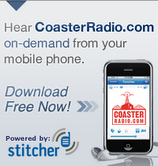 Merry Christmas from your friends at Coaster Radio! On this week's show, the guys kick back and have some Yuletide fun while hearing listeners top picks for theme park gifts. The show also welcomes several special in-studio guests who stop by to wish everone Happy Holidays. Plus, the show gets off to a great start with a special song created for the season! Don't forget to visit the CoasterRadio.com website on Christmas Day to watch the special video for Neil Patrick Harris that stars many of our listeners! It will bring some warmth to your heart and a tear to your eyes! Thanks to everyone who takes part in the show all year long! Happy Holidays! CoasterRadio.com #510 - The Tower of Treats! 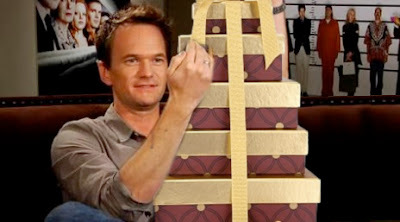 This is what it might look like when Neil Patrick Harris receives the "Tower of Treats!" We're just a few weeks away from the holidays and we believe that it's the season of giving. So, we sent Neil Patrick Harris an infamous "Tower of Treats." This week, we find out if the TOT made it to the "How I Met Your Mother" soundstage in Hollywood. We also talk about what type of holiday gifts a theme park fan would like to receive. We have some practical and outrageous ideas that will make you want to write a letter to Santa Claus immediately. We also talk about the brave souls who have given up their successful careers to go and work at the theme park. Did they find success? Was it worth it? Is it something you would consider doing? We also have a Live Trip Report from Mike's performance in the stage version of "It's a Wonderful Life" and details about our holiday show next week! Talk about this episode by leaving a comment here on the blog! Over the past few weeks, we have received several e-mails from listeners who have said that they have quit their days jobs and gone to work at theme parks. Some work in managerial roles, but others actually work operating the rides and attractions. 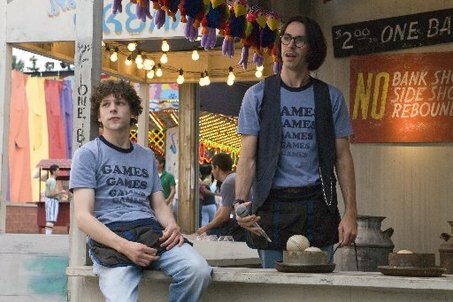 That got us thinking, would you ever give up your career to go to work at a theme park? If so, what would it take to get you to do it? What job would you most like to have? We're looking for answers to put on our next show. CoasterRadio.com #509 - It's a Wonderful Theme Park! 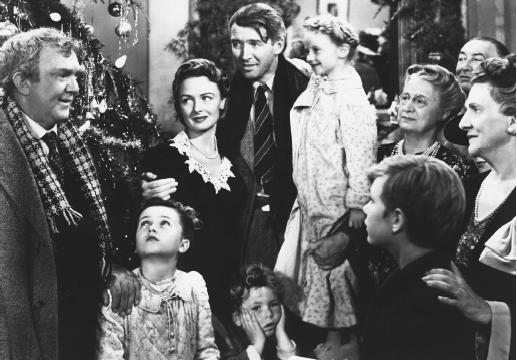 Mike Collins is in a stage version of "It's a Wonderful Life" that opens this weekend. So, Mike and EB had to tape the show really late at night after one of the rehearsals. This means that this week's show is a caffeine-fueled trip that includes a lot of good theme park talk and a lot of imitations from "It's a Wonderful Life" too! 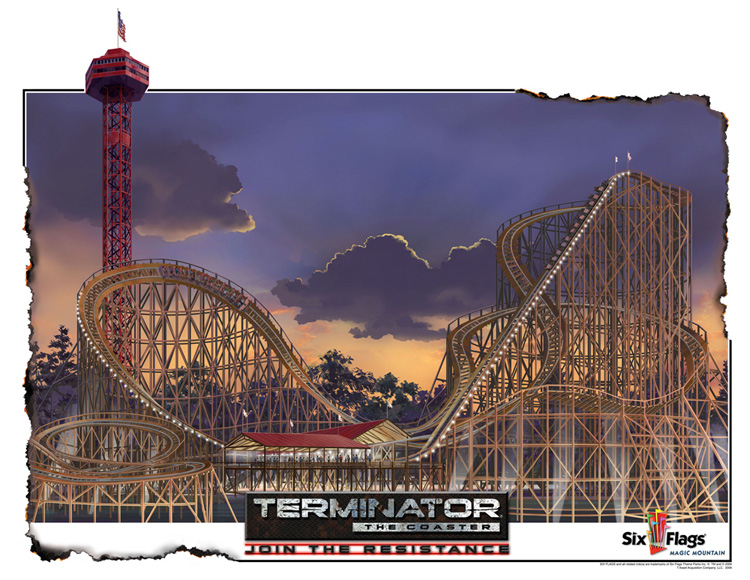 The guys talk about the listener's most "elusive roller coasters," the type of attractions that people have always wanted to ride, but for whatever reason have never been able to visit. They'll also hear a live trip report from Six Flags Over Texas and get into a discussion about the refurbishment of the Texas Giant. They'll also talk about new gimmicks on roller coasters, such as heart rate monitors. Plus, there is a return visit from Disney Podcast Guy! There's also an update on The Neil Patrick Harris Project! The Tower of Treats has been deployed! Every theme park fan has that one roller coaster that they've always wanted to ride, but for whatever reason, they've never been able to visit. For me, it's the Revolution at Six Flags Magic Mountain. I know that it's not the greatest roller coaster in the world, but for me, it's always one that has captured my imagination. I remember first seeing it as a kid when my dad let me watch "National Lampoon's Vacation." 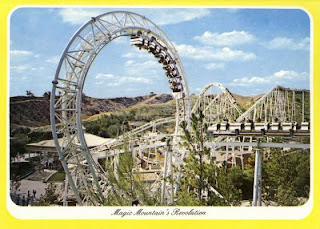 Since then, I've always wanted to get out there to ride the same ride that Rusty and Clark Grizwold rode. For this week's show, we want to know what is your "elusive roller coaster?" So, feel free to let us know right here on the blog by using the "Comments" link below. You can also e-mail us by using the address over on the right! The NPH Project - The Tower of Treats! Season Five of Coaster Radio began with me and EB launching "The Neil Patrick Harris Project." As you probably know, NPH is a huge fan of theme parks and roller coasters. 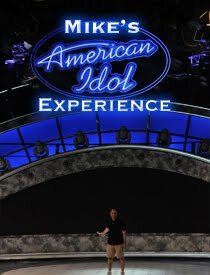 Because of this, it became our noble quest to one day secure Neil's talents as the voiceover artist that starts each show. We had a MAJOR Breakthrough two weeks ago when Neil actually called our voicemail line! He referenced a few of the things that had been said about him on the show, but then wondered why he hadn't been sent a "Tower of Treats." 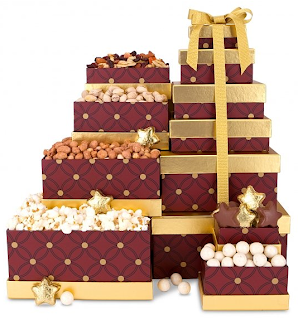 You see, last year we sent a "Tower of Treats" to David Arquette's dressing room at a theater production where he was performing. If we sent one to Arquette, we definitely need to send one to the more-deserving NPH! "Neil, thanks for the voicemail call! As promised, here is the "Tower of Treats!" Enjoy! 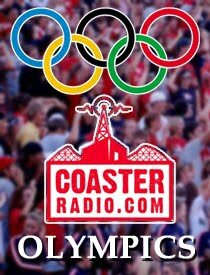 - Mike, EB and all the listeners of CoasterRadio.com!" Will NPH get the "Tower of Treats?" Will he be impressed? Will he take a picture of himself enjoying the "tower" with his fellow cast mates? If you went back and listened to every single episode of Coaster Radio, you'd probably notice that the theme park topic we discuss the most is theming. It's the one thing that separates a great park from an average amusement park. 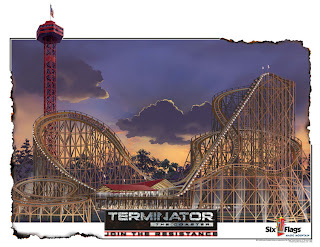 That's why it was a bit of surprise when we learned that Six Flags would be dropping the licenses for properties like Thomas the Tank Engine, The Wiggles, Tony Hawk, Evil Kenevil and Terminator. EB and Mike will take a look at the situation and give you their unique spin. Does it really matter that these themes are going away? 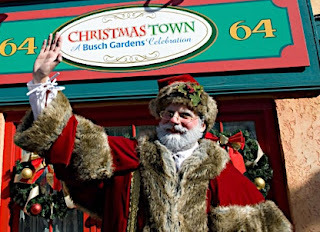 And even though the Thanksgiving holiday is over, the guys hear from the listeners as they discuss what they are thankful for from the 2010 park season. 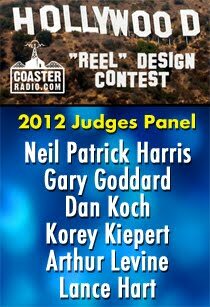 Plus, CoasterRadio.com was nominated for Best Travel Podcast in the 2010 Podcast Awards! You can vote for the show once a day through December 15th. EB and Mike discuss the meaning of the award and how half of the nominees are Disney related! The guys also receive a visit from a Disney podcaster who has a nasty message for CoasterRadio.com.